Update: Rafi and I had a real ball at the Megacon this past February. I have plenty of pictures, but, due to my work schedule, I'm concentrating more on my strip, and I haven't the timeto put my pix up this time around. Check back here soon. 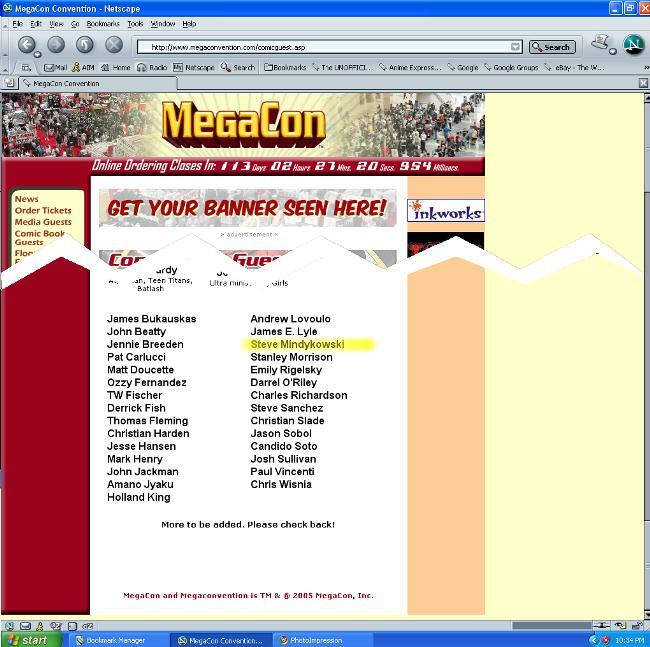 From 2/24 to 2/26/2006, Rafi and I will be in Orlando, attending the 2006 edition of Megacon. While I am no stranger to Megacon (where, in the past, I was a spectator), this will be my first ever appearance on the convention circuit as an appearing artist. Last year (2005), all I did was lay a small stack of flyers on an already-crowded flyer table. Now, with my comic in full-swing, I will be appearing in the "Artist's Alley" area, promoting my comic and drawing (and selling) sketches drawn by Rafi and me. In August 2005, I paid my $50 for a small table, plus submitted an uncolored line sketch of Rafi for the program book (which you can see here). The first sign that I was in -- I got my cancelled check from my bank. Now comes the hard part -- getting ready. There's a table banner to be made, sketch prices to be set (though quick sketches will be free), books to be printed (I'll be using the same ones I issued in San Diego), a tax permit to apply for, time off and hotel reservations to be made, and other things that need to get done by showtime. The main mission here is to bring "the Circus" directly to the people, in hopes of not only bringing more hits, but to actually make fans out of those who visit the site. And hopefully, this will all be worth it. First of all -- the "Artist's Alley" space is now full. One of many reasons why you should plan ahead for conventions like these. The guest list has been huge, though I take it that there will be other guests that would either have tables with the dealers, or represent the participating publishers. Apparently, in the coming weeks, the programs will be mailed out. When they do come, I'll show you what my entry looks like. With this certificate, not only I'll be able to sell my goods at Megacon, but anywhere in Florida, through the end of 2006. 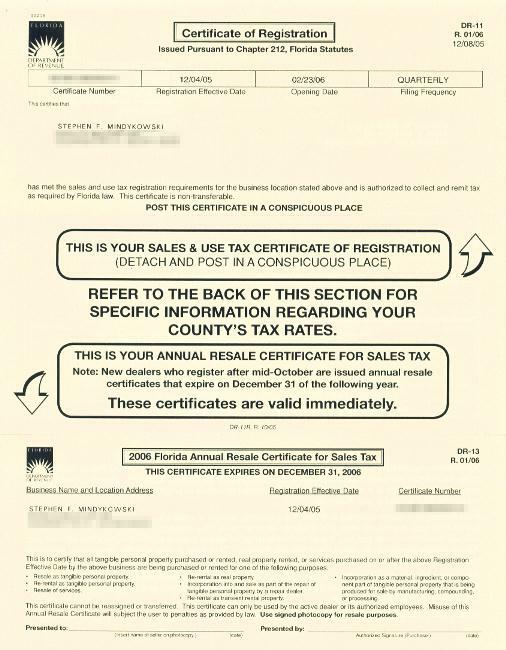 Of course, if I participate in any shows outside of Florida, I will need to get a tax certificate for that particular state. But we'll cross that road when we get to it. I received my Megacon program book (the early version mailed to prospective attendees) late last week. While I was mentioned in that book, my picture of Rafi, which I drawn exclusively for the book, wasn't in there. In other words -- while early sign-up does guarantee an entry in the book, it doesn't guarantee that your picture would be in there. 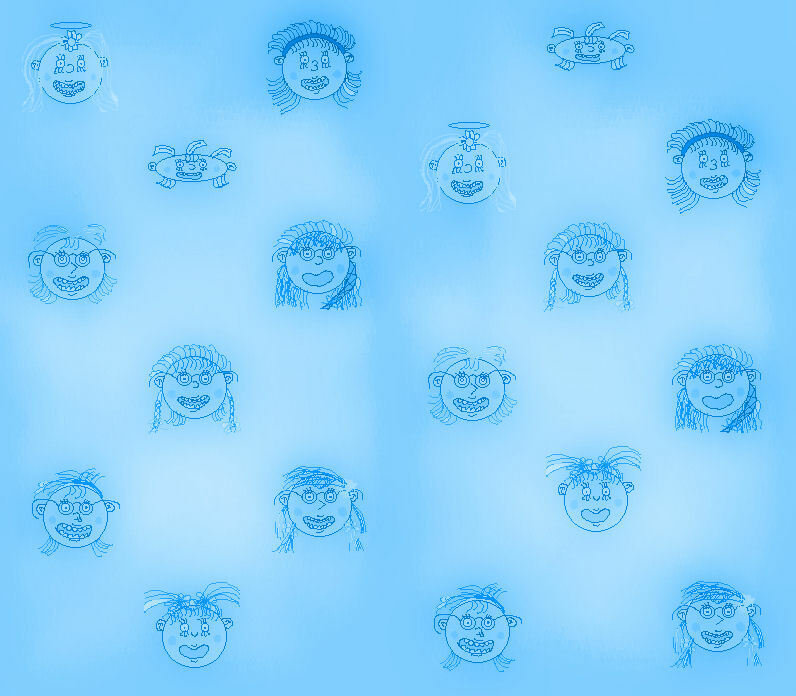 Maybe it'll pop up in the final version of the book, which will be issued to attendees at the show.